In the last few weeks, we have been busy building the french doors for our tiny house. How exciting! This is something we have never done before and we’re pretty proud of what we have achieved. In this post, I will explain why and how we did it. Please note that we built this set of french doors to the dimensions of our tiny house steel frame. 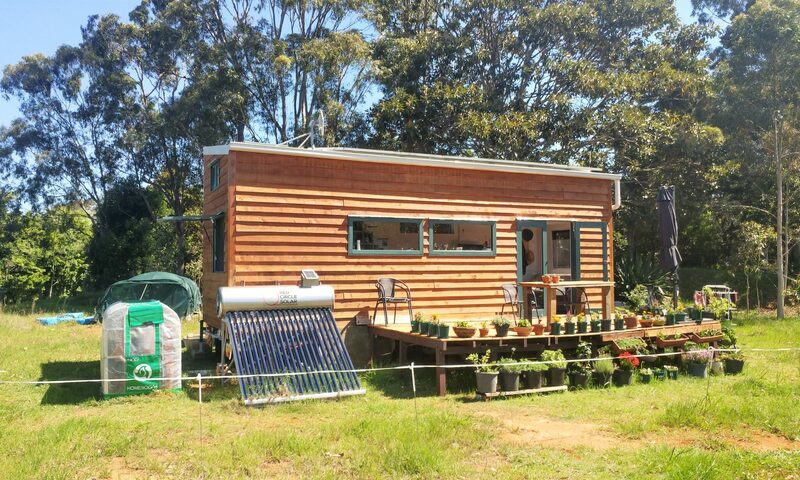 Since every tiny house is different I will not mention any numbers or figures. But I will explain the different steps that are required to build french doors. Why are we building the french doors ourselves instead of buying them? Initially, we wanted to buy a set of french doors second hand. 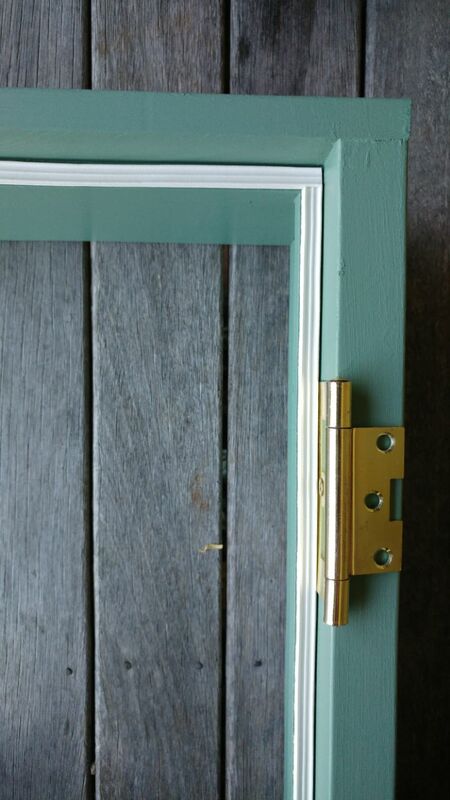 There are some nice doors out there and they’re quite affordable if you’re buying of Gumtree for example. However, we still decided to build them ourselves for two reasons. First, we wanted our door to be lightweight and second, we wanted to test our carpentry skills. We’re all up for easy wins and quick progress to keep the moral high, therefore we started with building the outer frame. It’s just a rectangle but there are still a few things to keep in mind. Use hardwood for the door sill. The door sill will get used the most so make sure you choose a wood that is durable and long-lasting. You can buy door sills off the shelf. This will save you money and time. 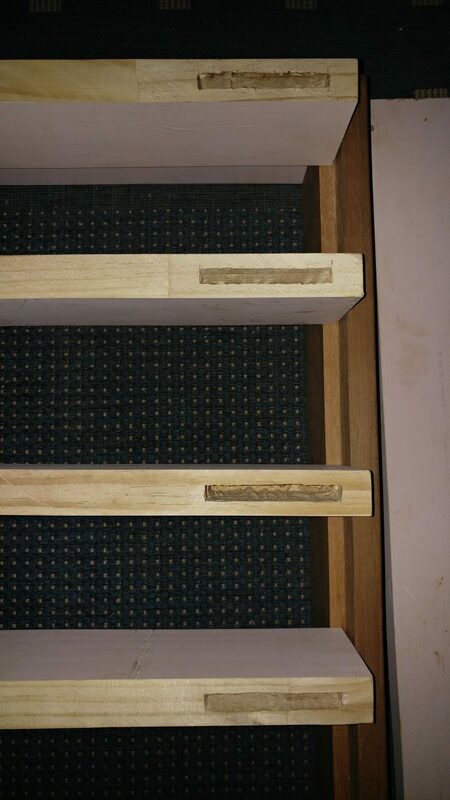 However, we custom-made our door sill since our measurements are different from standard doors and our doors open outwards not inwards. We went to a local building supply store and bought a plank of hardwood. You can’t really go wrong, simply make sure that it’s high enough since you will have to cut out the door-jamb. Around 40 mm should be good. 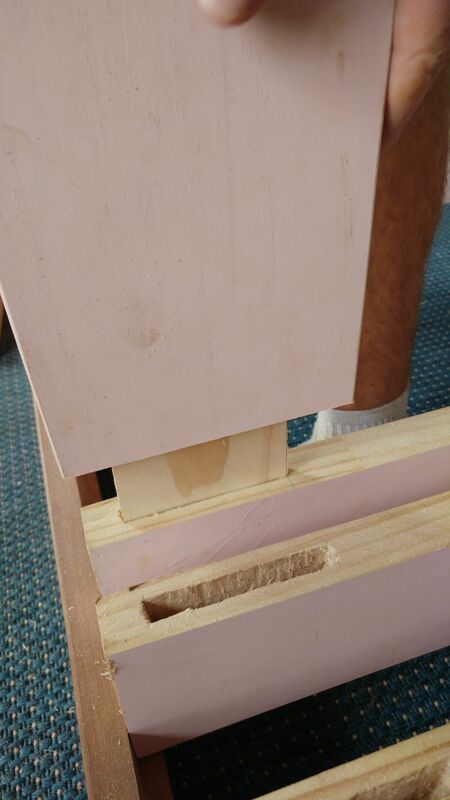 Again, make sure your measurements are correct before running it trough the table saw. Cut the wooden planks to size. This is a no-brainer but I will mention it anyway. 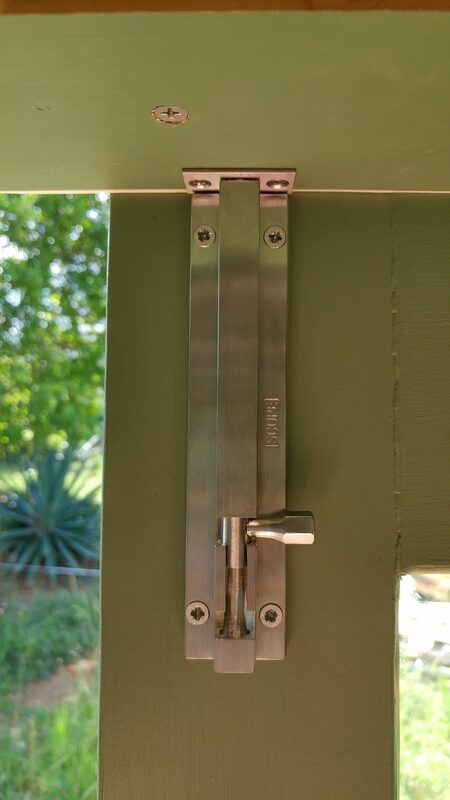 Measure the exact dimensions of your door frame so it fits in the timber or steel frame of your tiny house. Also, measure the width of the frame and cut the wooden planks accordingly. Jigs for the table saw. 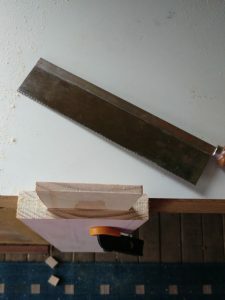 You might have to get a little bit crafty and built some jigs for your table saw. While this might set you back an hour or two, it’s still worth doing because it will make the job a whole lot easier and faster. This is where it gets tricky because we will make mortise and tenon joints. This will require a little bit of planning and preparation. You will also need tools like a drill press, a drill bit, chisels, a hammer and some wood files. It’s a little bit of extra work but it’s worth it because it will make your door frames really strong! Drill out the mortises on each end of the long planks. There will be four mortises in total for each door. You can use a mortise machine to cut out the mortise if you have one. But let’s keep it real here. Unless you’re a professional carpenter, chances are high that you don’t have a mortise machine, just like us. Instead, we used our drill press which we used before to cut out the little buttons to hide the screws on our wooden floor. The drill press works just fine. 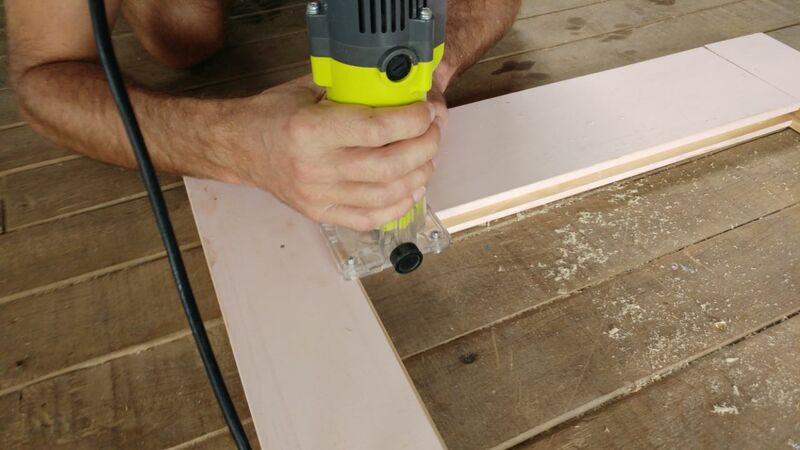 All you need in addition to that is a drill bit of the thickness of your mortise. In order to drill the mortise, you will have to mark precisely where you want your mortise to be. You’ll also have to decide how deep the mortise will be. 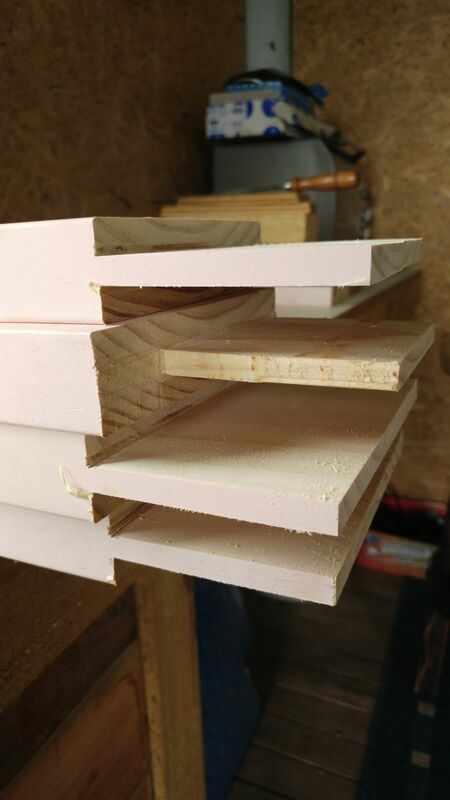 The depth should match the length of the tenon, so keep that in mind in your planning phase. We drilled out the mortises with our drill press. Pictured in the photo is our first go at it using only a sample piece. Once you drilled all your mortises, you will have to chisel them out so they’re all neat and clean inside. This will take a while. 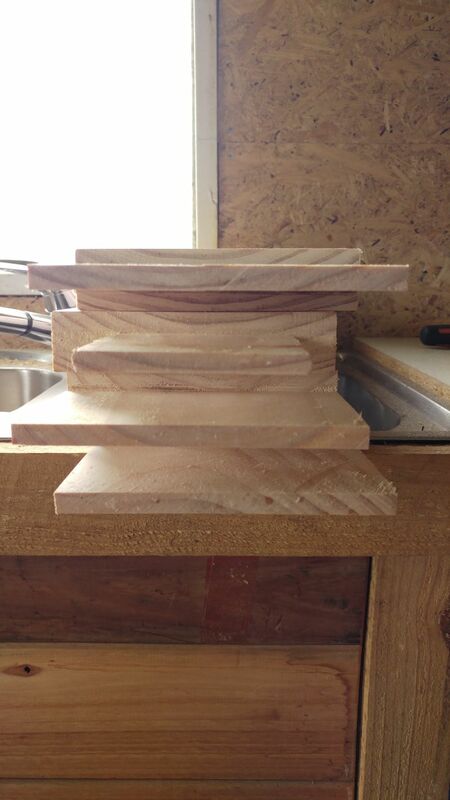 Make sure not to chisel off too much on the sides because you don’t want to alter the width. When you’re done “fine-chiselling” your mortises, use a wood file for a smooth finish. Cut the tenons on each end of the short planks. Tenons, like you all guessed, are the counterparts of the mortises. Both slot into each other and build a really strong joint. 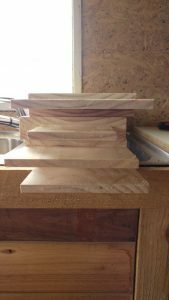 In order to cut them, you will have to mark both ends of the short planks precisely so you know which parts to cut off. I know I’m repeating myself but be sure your measurements are correct before you run them through the table saw. It’s really annoying to waste a perfectly fine piece of wood. You will be able to cut off the wider bits for the tenons with the table saw. But the bits on the shorter sides you will have to cut off with a hand saw. We used the jig again that we’ve previously used for the mortises. It’s such a handy little thing to have! Once the tenons are done, sand them so they’re all nice and smooth. Now it’s time for a dry fit. Assemble your door frames and make sure the joints slot into each other. You might have to chisel, file or sand a little bit here and there to adjust them. Another thing we did at this stage was routeing out the edges of the inner frames. This step is optional but it will make your doors look really nice and professional. In order to assemble the doors, you need your glazing, glazing rubber or silicone, precise measurements and a calm hand. We are using acrylic because it’s lightweight. It also has better properties than a single pane window glass. To hold the glazing in place and in order to make the frame airtight, we’re using glazing rubber along the inner sides of the door frames. Alternatively, you can use silicone instead. If you’re using glazing rubber, you will have to cut out along the inner frames where the glazing rubber will sit. Glazing rubber is your friend. Glazing rubber can be a bit stubborn to work with but it will look great once in place. Just keep a few things in mind. Make sure that the grooves match the width of your glazing rubber. Also, once the frame is assembled you won’t be able to dismantle it, not without severely damaging everything anyway. Therefore, be sure to plan and measure everything beforehand. 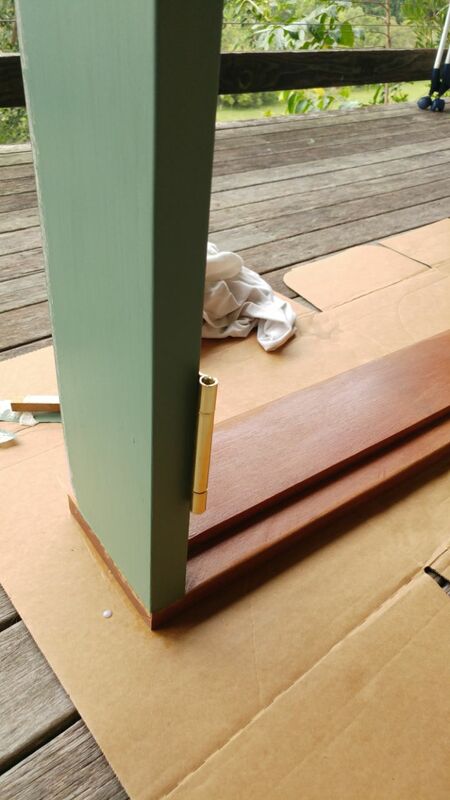 When assembling our doors, we started with putting the glazing rubber around the glazing. Then we pushed the glazing into the smaller top and bottom parts of the door frame and eventually into the longer side planks. This requires quite some pressure. But be sure not to damage your glazing at the same time. Now that the hard part is over, it’s time to fine tune the doors and the outer frame. 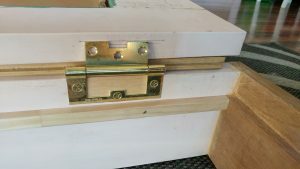 I puttied holes and cracks along the mortise and tenon joints and the frames. Then sanded everything to give it a rough surface and finally painted all the different wooden parts. Also, it’s a good idea to varnish the door sill to make it more durable. 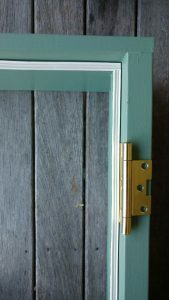 Once the doors and the frame are dry, it’s time to put on hinges, door knobs or handles as well as bolts and weatherstripping. You might have to route out space for the hinges. And that’s it. Congratulations, you’ve just built a set of french doors. When Paul suggested that we build our own doors, I wasn’t thrilled. We’ve never done that before and we both don’t have any relevant carpentry skills. But he had a point because the dimensions of our doors are not standard and we wanted them to be as light-weight as possible. So we did a lot of research on methods, joints and tools. In the end building the entrance door for our tiny house ourselves didn’t sound that daunting anymore. The build process itself is really straight forward. In the end, our set of french doors turned out to be awesome! There are just a few things you should keep in mind. Be precise with all the measurements and cuts because nothing is sadder than a wonky frame. 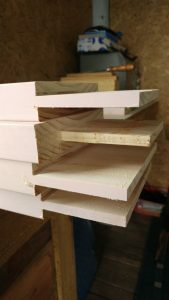 Make sure to build the outer door frame a tiny bit smaller than the frame of the tiny house. By that I mean to leave a 3 to 5 mm gap on each side. You will need that kind of wiggle room later for installing and aligning the frame. Make sure the outer frame and the door frames are 90°. Again, we don’t want wonky frames. 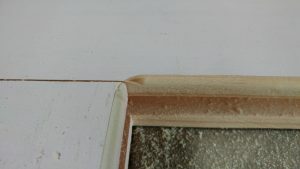 Leave enough space between the door frames and the outer frame for weather stripping and seal. Depending on the thickness of your seal, this gap can be 2 to 4 mm. Read the instructions on the seal. 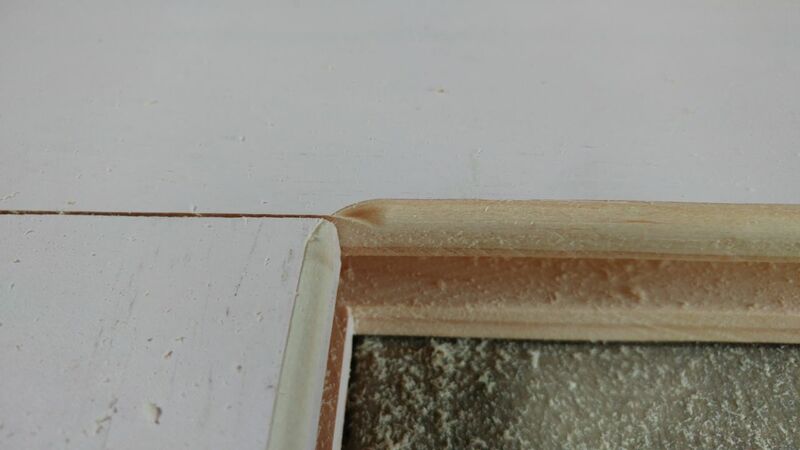 In hindsight, I think it’s better to use flexible gap filler for the mortise and tenon joints to prevent the putty from cracking when installing the doors. Looks like a 1-2cm gap between the 2 doors. Does that matter in the end or is it just a asthetic Problem? Thanks for your comment. This was by design because wood can shrink and expand depending on the weather. Next PostNext We’re installing our brand new and homemade entrance door!